A good majority of comic book fans want to be Batman. He’s got cool toys, he a world class detective, a supreme fighter and he's super rich. 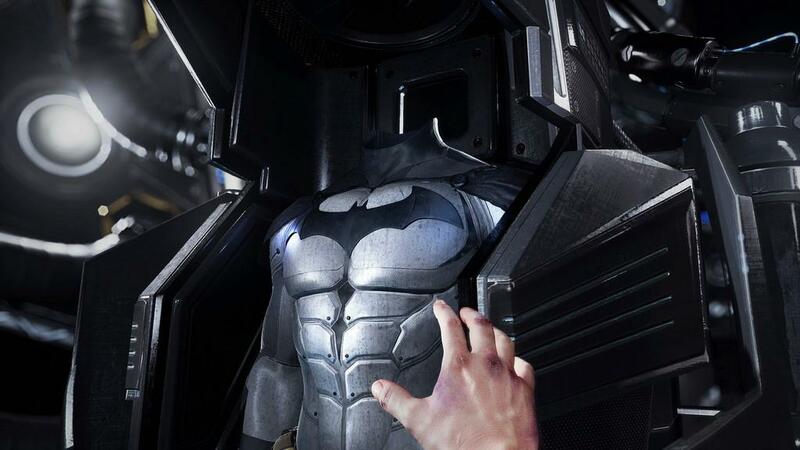 With the advent of VR, Rocksteady has gone and made a game to let you become the Dark Knight. 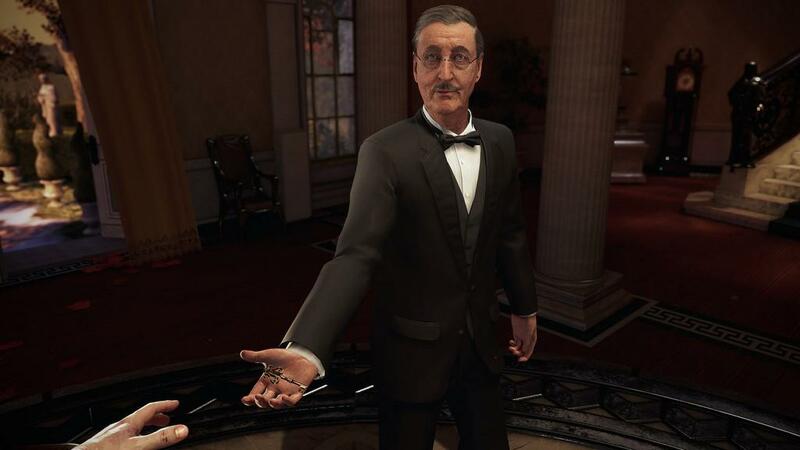 The game was a timed exclusive for the PlayStation VR, but it recently came out for the PC. Batman: Arkham VR takes you through a day as the caped crusader from getting into the iconic suit to solving the mystery presented in the game. The story is relatively short, but there are some really intense scenes that are amazing to experience. Having you start the game dressing up as Batman is really awesome. Putting on the cowl sent shivers down my spine. You really get a sense you are in the suit as you look at yourself in a mirror, with all the actions you do with your hands and face being mimicked to perfection. I’m not going to get too much into the story as it would spoil a lot of the game. Since it’s very, very short, the less I say the better. You’ll mostly be doing detective work, trying to put together clues as to what happened that night. The disappointing thing is you don’t get to fight at all. No punching out any goons or bosses. 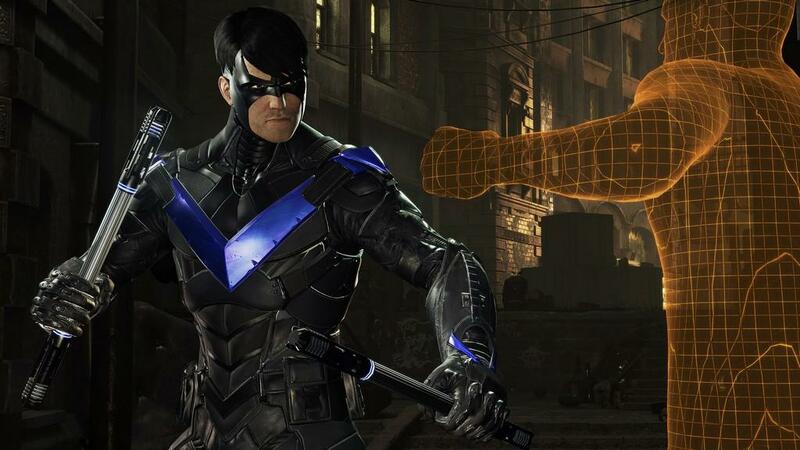 Sure, there some boxing games out for VR, but let’s face it, there’s no way most of us can react and fight like Batman can, and the limitations of a VR headset make it so any fighting other than punching or swinging is hard to simulate. 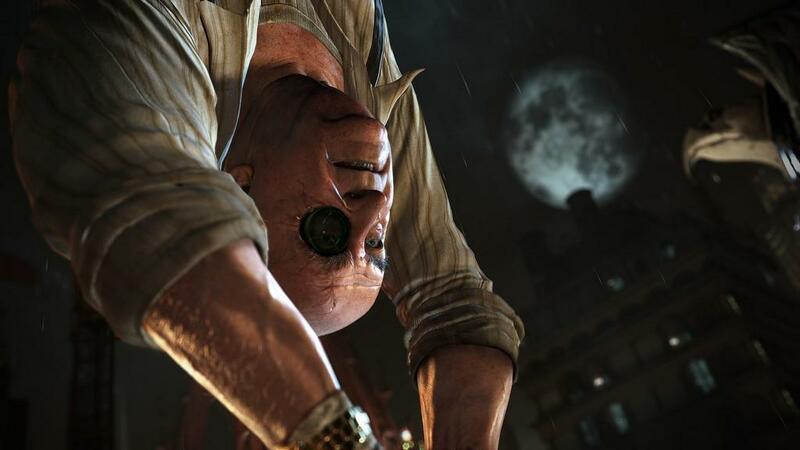 You’re limited to scanning places and objects with one of your gadgets, and also participating in a more immersive detective recreation mission like those in Arkham Origins where you can fast forward and rewind the crime scene in order to find a certain clue. It was kind of cool to be able to recreate an important part of the mystery and walk around it, seeing how the events unfolded from different angles. You have three gadgets at your disposal: the grappling hook, batarang, and scanner. To help combat motion sickness, the game stands you in one place, and you move to other areas by shooting the grappling hook at designated spots. It’s a form of teleportation, but in a Batman style. The scanner is the gadget the gets the most use. The batarang is sadly the least used out of the three, but still cool nevertheless when you thrown it. It’s too bad there isn’t much else you can do other than look around, scan a few things, throw a few batarangs, and place a few items in their place for the main story. You can fiddle around with a bunch of items in the Batcave, but the main storyline is limited to a few small tasks. Both the Batmobile and the Batwing are in the game, but they’re appearances are limited. Even choosing which one to take to the scene of the crime is disappointing, as all you get is a black screen until you arrive at your destination. Yes, having you sit through a flight or a drive would probably be motion sickness inducing, but nevertheless, you don’t even get to enjoy sitting in the cockpit of either one. Playing on an HTC Vive, Batman: Arkham VR takes that unique and highly detailed style that was in all the other Arkham games and brings them to virtual reality. 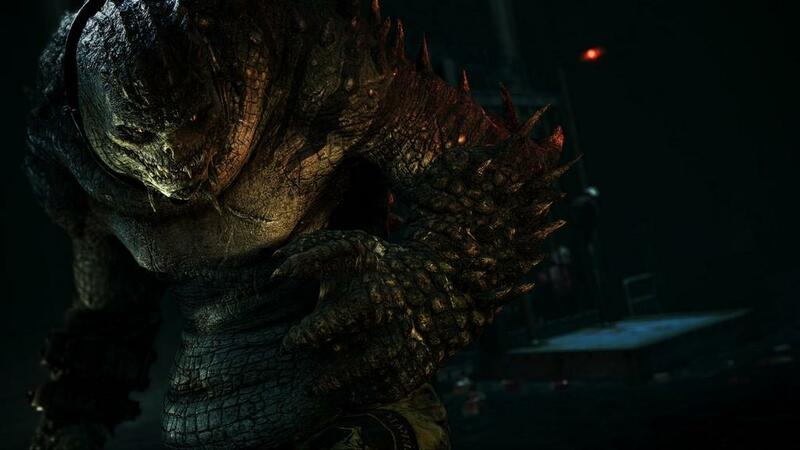 All the characters look how they did in the previous Rocksteady games. It’s seriously one of the more impressive-looking VR games out there, and if you can bump up the supersampling a bit, it’s crazy how well it looks. All the character models, up close, are really impressive. Seeing Nightwing, Robin, and Killer Croc in your face, so to speak, makes you appreciate how well the artists at Rocksteady did. You see some incredible detail using an HMD. Not only are the character models impressive in VR, the environments make you feel like you’re right in Gotham. Standing in an alleyway, you feel like you’re there in a seedy, dangerous area of the city. When you’re crouched high above the city, the sights of the active streets and vast skyline really immerses you into the world. You truly do feel like Batman, standing above, perched on a ledge, keeping an eye out for any criminal activity. The same can also be said for the Batcave. If you ever want to stand in the iconic headquarters of the Dark Knight, you can do it with Batman: Arkham VR. Voice acting is top notch as the usual suspects come back to voice the game. Kevin Conroy reprises his iconic role as Batman, and Mark Hamill lends his awesome voice again as The Joker. Troy Baker does the voice of Jason Todd, and Ian Redford does a solid job as The Penguin in place of Nolan North. The game also does a good job at a few areas where sound location is important. Driving the story forward and giving you an indicator of where to look, the sound enhances an already immersive visual experience with Batman: Arkham VR. Overall, Batman: Arkham VR is a nice little showcase for VR in the Arkham universe. It’s very, very short though thus making the $20 price tag seem a tad more than what I think it should be at. Fans of Batman will, no doubt, love being behind the cowl, even if it’s more of a non-combative experience. The graphics and sounds are some of the best in the VR genre, but many of your actions are limited, and there’s little room scale functionality in here since it’s a port of a PlayStation VR game. 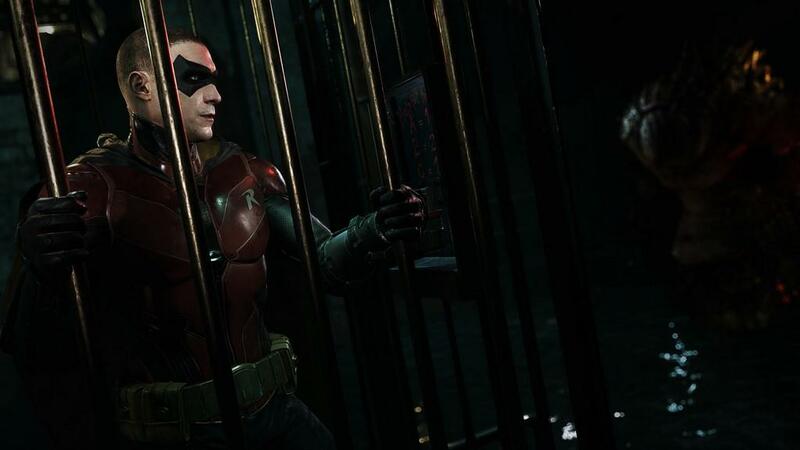 Because of its limited replay value and short length, Batman: Arkham VR won’t be something you probably will come back to after your initial play through, which is a little sad as I enjoyed the short amount of time I had in the Arkham universe in VR. It's really short and you won't get much replay value, but being Batman even for one a night, and in a more passive role, is still pretty cool.